Each winner will receive $150,000 in funding and three years of mentorship from Johnson & Johnson. (New Brunswick, N.J. – April 8) | Johnson & Johnson today announced the six winners of the annual Johnson & Johnson Women in STEM2D (WiSTEM2D) Scholars Award, granting $150,000 and three years of mentorship to each winner. Each recipient represents one of the STEM2D disciplines: Science, Technology, Engineering, Math, Manufacturing and Design. Launched in June 2017, the Johnson & Johnson WiSTEM2D Scholars Award aims to fuel development of female STEM2D leaders and feed the STEM2D talent pipeline by awarding and sponsoring women at critical points in their careers. The goal is to support the research of the awarded women and inspire career paths in their respective STEM2D fields. Nominations were open to female scholars in each of the STEM2D disciplines. Johnson & Johnson established an independent Advisory Board to select the winners from a field of more than 400 highly qualified applicants from across the world. The winners will be recognized at an awards ceremony on April 24, 2019 at Johnson & Johnson’s worldwide headquarters in New Brunswick, New Jersey. SCIENCE: Naama Geva-Zatorsky, Ph.D., Assistant Professor of Medicine, Technion-Israel Institute of Technology – Geva-Zatorsky is studying the interactions between gut microbes and the immune system with long-term goal to harness them for better health of people. TECHNOLOGY: Shengxi Huang, Ph.D., Assistant Professor of Electrical Engineering, The Penn State University – Rather than relying on a myriad of tests for illness detection, Huang is developing one device to help measure different biomolecules that have the potential to cause disease, including cancer cells and amyloid beta. ENGINEERING: Ronke Olabisi, Ph.D., Assistant Professor of Biomedical Engineering at Rutgers University – Olabisi is developing a new, innovative hydrogel that can be placed over an injury, delivering a constant supply of stem cell growth factors and insulin to speed up tissue and skin growth to heal burns, chronic wounds and long-term lesions. 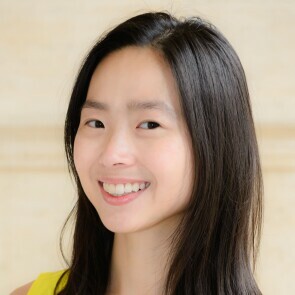 MANUFACTURING: Grace X. Gu, Ph.D., Assistant Professor of Mechanical Engineering at University of California, Berkeley – To address the limitations in materials design and manufacturing, Gu is developing a smarter, more efficient 3-D printer that can self-correct while in use during a print job. It also utilizes a greater range of materials to produce everything from stronger prosthetics to tougher bike helmets much more reliably and quickly. MATH: Rebecca Morrison, Ph.D., Assistant Professor of Computer Science at University of Colorado, Boulder – With the goal of creating more precise, data-driven models that can address complex physical systems (ex. climate change), Morrison is identifying flexible algorithms that can run mathematical calculations on variables more quickly and accurately as they shift over time. DESIGN: Katia Vega, Ph.D., Assistant Professor of Design, UC Davis – Vega is already using the body as a new source of wearable technology but this award will enable her to experiment with biosensors and interactive skin with the potential to help people with diabetes and severe burns. For more information and to apply for the 2020 Awards, visit: https://www.jnj.com/wistem2d. Youth Programs (Ages 5 to 18 years): Johnson & Johnson is partnering with organizations to align curriculum in schools, augment program-based learning and engage Johnson & Johnson employees around the world as mentors to students. University Talent: Johnson & Johnson is partnering with leading academic institutions to develop high-impact strategies for increasing the number of women enrolling in and graduating with STEM2D programs and degrees. At the graduate level, Johnson & Johnson has implemented to STEM2D Scholars Award to increase the number of women pursuing research in STEM2D fields. Professionals: Johnson & Johnson is identifying and implementing best practices for attracting and retaining the world’s best technical female talent.